Flip through the pages of a magazine, turn on the TV, shop online or scroll through this blog and you’ll automatically see that the biggest shoe trend right now is ankle strap sandal heels. High end designers and moderately priced retailer, Zara, brought this current trend back to life but where did it come from? The 1940s! The saying history repeats itself holds true for fashion as we see trends return year after year. Take the current 90s fashion explosion for example. 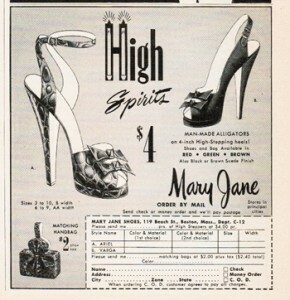 But ankle strap sandal heels first hit the fashion scene in the 40s. 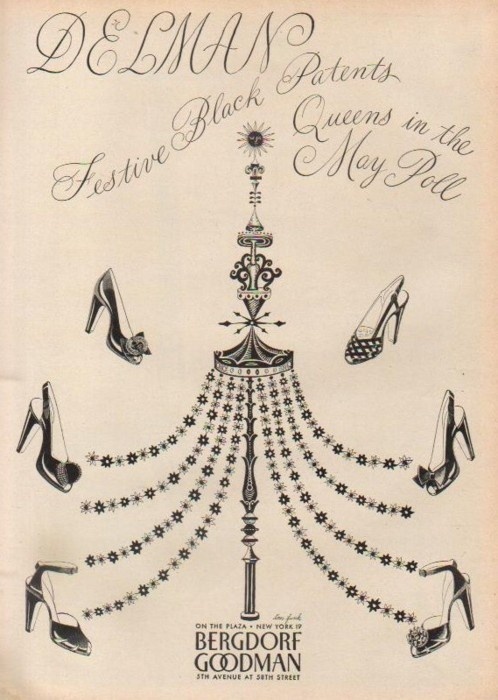 Check out this fabulous vintage Bergdorfs ad (#TBT) showcasing trendy shoes including ankle strap sandal heels. And can we talk about the price? If only a shoe were $4 today….! The modern version of these shoes expose more of the foot but ankle strap sandal heels in the end are a sassy take on the 1940s version. Do you have a favorite pair of ankle strap sandal heels?